Tis’ the season…for holiday hijinks! 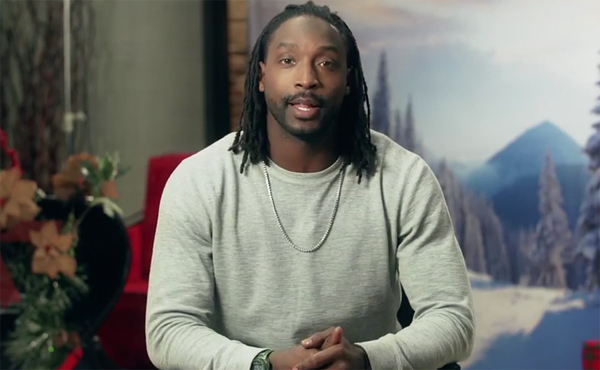 Chicago cornerback Charles Tillman teamed up with Courtyard to surprise guests and spread some holiday cheer at a Courtyard by Marriott in Chicago, IL. Posed as an eccentric Scrooge-like director that was hired to film a holiday video card for Courtyard, Tillman had unsuspecting guests sing “Jingle Bells” while wearing makeup and ridiculous props all while being captured by hidden cameras. When the disguise came off, Charles Tillman revealed himself to be the same “nice guy” that NFL fans recognize. Print article This entry was posted by Art Eddy III on December 18, 2014 at 8:26 pm, and is filed under Sports, Videos. Follow any responses to this post through RSS 2.0. Both comments and pings are currently closed.